Recently Munki v2.01 was released and now more than ever with the help of other apps it is easier to automate software deployment. 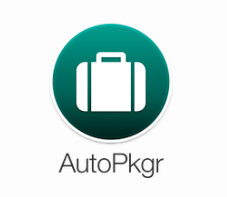 With help with AutoPkg (and AutoPkgr) you can quickly set up a Munki server to deliver software to all your Macs. 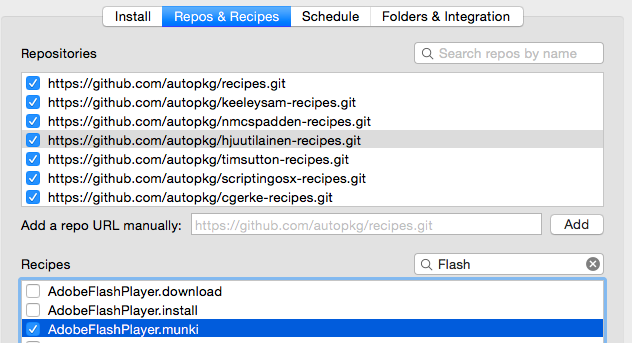 In the time it takes to download one new app and update each of your client workstations you could instead put it in your Munki repo and have it ready to deploy to everyone. 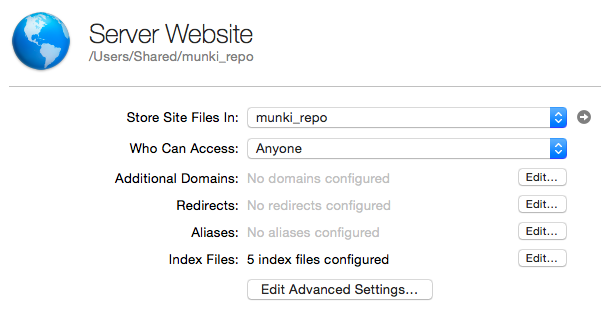 Munki allows you to automate software deployment. When you have more than one or two Macs to ensure that they are up to date with security, Flash, Java or other app updates you being to realize that an automated system can save you time and maybe even your sanity. You don’t backup manually, of course, you automate it. When it’s important and you want it done right, then some planning ahead of time and automation will make your life much easier. If you have not yet set up a Munki server then follow along as I walk you through setting Munki 2.01 with AutoPkgr 1.1 in part 1 of this blog post of Munki and AutoPkg. 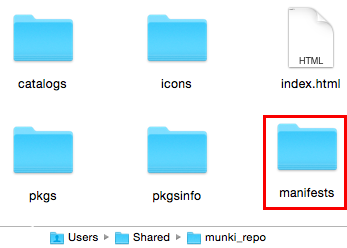 In part 2 I will go into further detail of how to use MunkiAdmin (Mac app) and Mandrill (a node.js web server) to edit and maintain your Munki set up. Pros and cons of each method will be touched upon. Using the command line in the past was required but I will show you how some really good apps and web services can help you maintain your automated software deployment workflow. 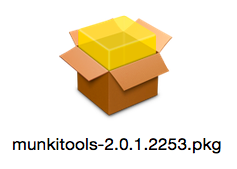 Note: Munki requires only a web server to deploy software, while traditionally the munki tools ran on a Mac. You can put your software repo on any web server. I will show you the set up on a Mac for the purposes of this blog post. 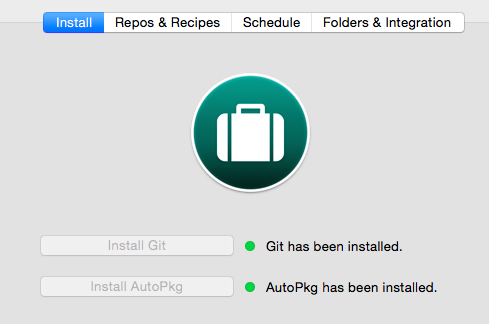 Install AutoPkg, and Git using AutoPkgr. 4. Set up web services on OS X by manually editing httpd.conf document root to your Munki repo or with Server.app, setting your munki_repo as where you store your site files. 6. Add recipes to AutoPKGr and choose apps. Set a schedule for AutoPkgr. Next, go to the icons folder in your repo, pick a fav icon and rename if necessary (some have more than one icon with name with “_1, _2, etc”). 10. Open MunkiAdmin and add packages to catalogs as needed, edit package info (add developer and category info, descriptions etc as needed), then create a client manifest. 12. Set client id and repoURL on actual clients. Done. Your munki server is set up and ready for clients to connect. Next up, in part 2, we will look at Munki’s client facing app, the Managed Software Center. We will also look at how to use Munki Admin (Mac app) and Mandrill (a node.js web server) to edit and maintain your Munki set up. Pros and cons of each method will be touched upon. Using the command line with Munki was required in the past but the Munki ecosystem has grown and there are some really good apps and web services can help you maintain your automated software deployment workflow. This entry was posted in OSX app deployment automation and tagged Automation, AutoPkg, AutoPkgr, Deployment, DevOps, Mac, Mandrill, Munki, MunkiAdmin, OSX by macvfx. Bookmark the permalink.